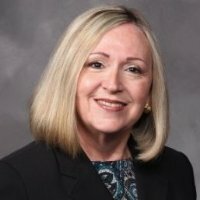 Darlene Shaffer, a CPA, forensic and valuation expert with Bedard, Kurowicki & Co., CPA’s, PC has recently completed training for Interdisciplinary Collaborative Law and has become a member of the International Academy of Collaborative Professionals (IACP) and the New Jersey Collaborative Law Group. Collaborative Law is an alternative to a litigated divorce where both parties agree to be guided through the process with a team of experts including their attorneys and other impartial professionals when needed. Darlene participates in the process by providing business valuation, financial education and tax advisory services to arrive at the best possible settlement for both parties. Through this non-adversarial process, the divorcing couple determines the process and outcome. A private settlement is reached in less time at a lower cost. The IACP is an interdisciplinary organization whose members include lawyers, mental health professionals and financial specialists. The organization has assumed responsibility for the training and accreditation of more than 5,000 collaborative professionals and more than 325 practice groups worldwide. New Jersey Collaborative Law Group is one of the eight practice groups operating in New Jersey and services New Jersey’s Essex, Hunterdon, Morris, Passaic, Somerset, Sussex, Union and Warren Counties. More information on Collaborative Law can be found at their website: www.newjerseycollaborativelawgroup.com.